Ever since I saw Charlotte’s too good to be true review of the original HealGel (back before the change in packaging) I’ve wanted to put it through its paces. So when the kind folks over at HealGel asked if I’d be interested in trying a few of their products I leapt at the chance. Aside from the wonder claims, what attracted me most to the brand was the story behind the hype and in the immense amount of knowledge and experience that has gone into the products. If you want to know more check out the video below. As I rapidly approach my 27th birthday I’ve started to notice fine lines beginning to appear around my eyes. As a strong believer that prevention is better than a cure, I’m always on the look out for the perfect eye cream to leave me looking rested, even if I have been burning the candle at both ends. 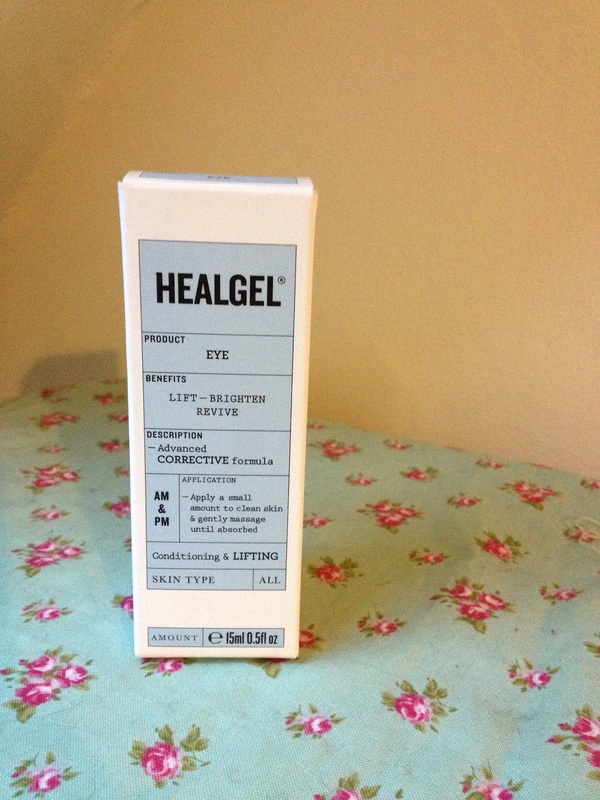 First off I just love the clinical looking packaging of HealGel Eye which is not only stylish, but also informative. Personally I prefer this as you know exactly what the product does from the off without having to decipher lots of marketing blurb. 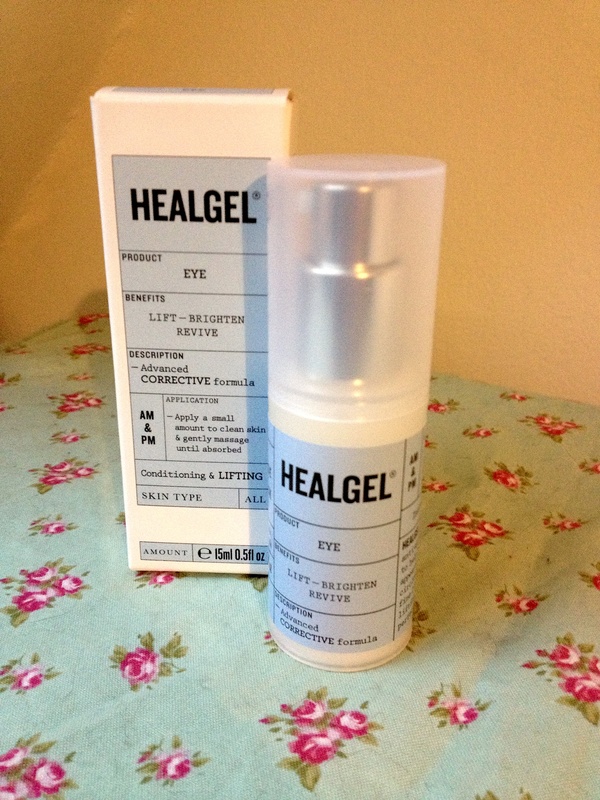 HealGel position the product as a conditioning, anti-ageing eye gel that reduces the appearance of dark circles, puffiness and fine lines. 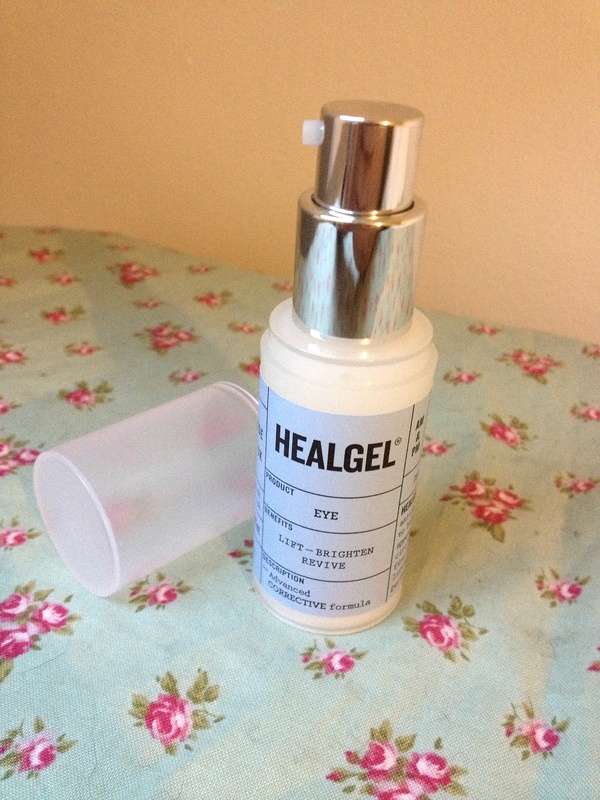 As someone who is always burning the candle at both ends and is frequently juggling time zones during trips I was keen to see how HealGel Eye would fare. I’ll be honest my first impressions weren’t great. The pump was flimsy and feels really rather cheap, not something you’d expect from a high-end brand like HealGel, but like my Mummy always says, it’s what’s on the inside that counts. Once I’d managed to get the product flowing I found it to be a thick, gel-like consistency. I dabbed it on and gently massaged it in in a circular motion. It took a while to absorb, and felt quite sticky until it had all sunk in, which was a tad annoying but may have been down to me applying too much product. Once dry though I could feel the area around my eyes tightening. When applying HealGel Eye the first thing that hit my was the fresh lavender scent. I’m always worried about using strongly scented products on my eye area but I needn’t have worried as my eyes didn’t react in the slightest. The next thing that hit me was the cooling sensation once the gel was applied, which has helped reduce the puffiness I often get as a result of a late night. I’ve only been using HealGel Eye for a short while so it’s hard to say the long-term benefits just yet, but I have noticed my under-eye area is better hydrated, less puffy and the darkness I usually have beneath my eyes has reduced to such an extent that I’ve even been managing to skip concealer day-to-day without looking like I’m auditioning for a part in Dawn of the Dead – win! At £32 it’s definitely not the cheapest eye cream on the market, but in my opinion I’d rather spend a little extra for a product that I can see results with. I’ve been using this twice a day for almost two months now and barely made a dent, so I suspect it’ll last a long time too. So would I repurchase? Absolutely! Never before I have I used an eye product that has enabled me to skip concealer so on that alone I’ll be buying HealGel Eye again once my current supply runs out. What a lovely review! I really hope to be able to use the HealGel products soon, I have such trouble with scarring from spots from my make up wearing days that still make me very self conscious. Sounds like HealGel would work a treat!